Le Petit Mas, a Quebec agribusiness specializing in growing organic garlic, has been using fermentation to preserve its garlic scapes since 1989. Fermented products, such as sauerkraut, tempeh, kombucha, kimchi, kefir, and sourdough bread, have made a remarkable comeback in our food habits in recent years, and not without reason. A few facts about this new (old) trend! First of all, there are several types of fermentation. The most well known in the agri-food industry are alcoholic fermentation and lactic fermentation. How does lactic fermentation work? For centuries, people have been using lactic fermentation to preserve all kinds of vegetables: cabbage, carrots, parsnips, beats, cucumbers, gherkins, onions, etc. Lactic fermentation is most commonly used to make cabbage into sauerkraut, but it is also used to make yogurt, kefir, and sourdough bread. The lactic bacteria transform the sugars, essentially fructose, into lactic acid and organic acids. The lactic acid produced during fermentation also inhibits the growth of harmful bacteria. Lactic fermentation thus acts as a preservative. The lactic and organic acids completely change the flavour of the final product compared to the initial one, giving our garlic scapes their delicious taste. 1) It keeps the product alive and good for your health, thanks to the lactic bacteria and enzymes produced, as well as maintaining the concentration of vitamins, nutrients, and bioactive molecules of raw foods. 2) It preserves the vegetables for several years through entirely natural means without chemical additives or pasteurization. 3) It creates new flavours thanks to the lactic and organic acids produced. Le Petit Mas has been using lactic fermentation for its garlic scapes for 25 years. The lactic bacteria needed for fermentation are naturally present in garlic scapes. This is why, initially, a jar of garlic scapes in oil that had been forgotten in the fridge began to ferment. Given the delicious flavour this created, Le Petit Mas immediately wanted to spread the good news. 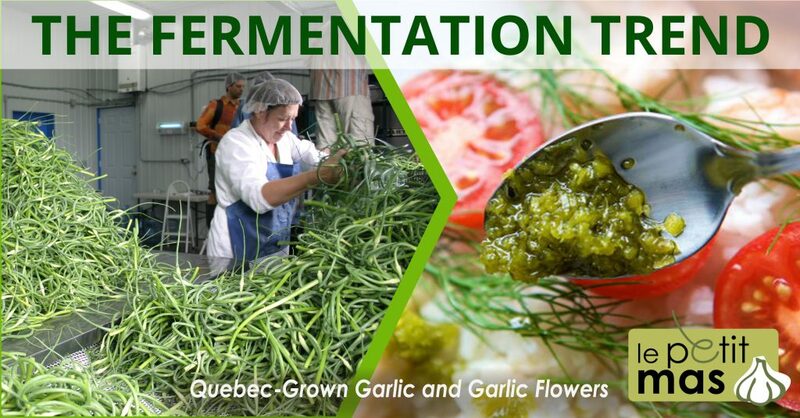 Several years of research later, Le Petit Mas created a unique and standardized transformation process and brought fermented garlic scapes to Quebec’s agri-food market. Looking to try our fermented garlic flowers, but don’t have any on hand? Find the point of sale nearest you. Looking to try other fermented vegetables or make some yourself? 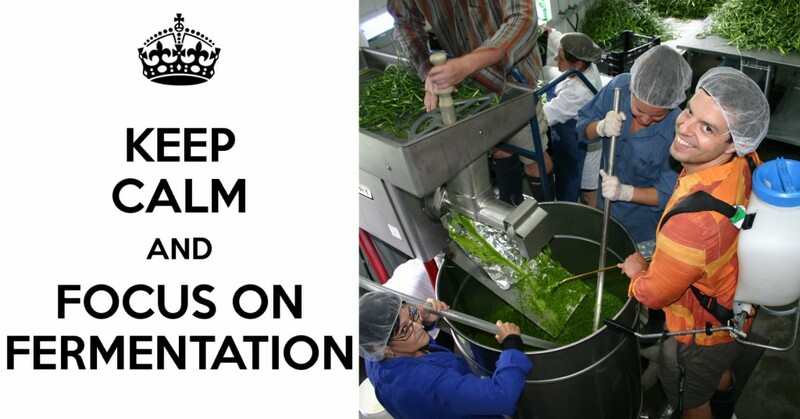 Find out about Caldwell Bio Fermentation Canada, another business in the Eastern Townships. How does it differ from wine or beer fermentation? There is also another type of fermentation: the alcoholic fermentation used to make beer and wine. What is the difference? In beer and wine, yeasts transform sugars into ethanol and carbon dioxide (CO2) rather than into lactic acid.